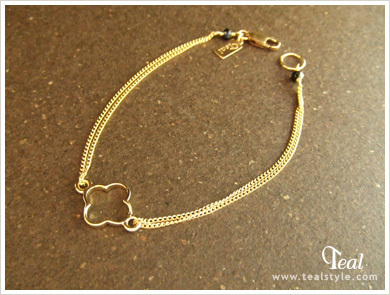 Delicate gold plated flower, black agate and 14K gold filled chain bracelet. Length: Approx. 17 cm / 6 3/4 "